FIND IT CHEAPER : WE’LL BEAT IT! 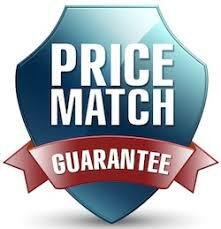 The Market Direct Price Match Guarantee is our assurance that you get the best possible price 24/7. This is our commitment to you. Camping has never looked so good! You can redeem the Lowest Price Guarantee by visiting your local MDC Showroom with advertising material. a genuine signed quote, a dated receipt or any other official document from the other retail store. Documents you provide will be used to assist an MDC staff member to confirm that a product is current, in stock and offered at a lower price. What it included in the Lowest Price Guarantee? Any identical product that is in stock and available for sale (i.e. no backorders or rainchecks, by both the competitor and MDC at the time of quoting.